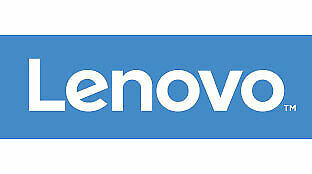 Dual Sensor ANC - Superior Noise Cancelling. Ultra-durable and easy folding hinges. Active Noise Cancelling to reduce unwanted ambient sounds. Superior dual sensing Active Noise Cancelling isolates you from outside distractions. New ListingStar Wars SMS Audio Boba Fett First Edition Street by 50 Cent Wired Headphones. sms audio street by 50 headphones. Condition is Used. Shipped with USPS Priority Mail Flat Rate Envelope. AUTHENTIC / RARE NEW n BOX = SEALED SMS Audio Headphones STAR WARS Second Edition TIE FIGHTER" . BioSport is always ready to perform - mile after mile after mile. BioSport technology is built using an open architecture to optimize compatibility with the world's most popular fitness applications. Produced by "50 Cent", an artist popular all over the world. Enjoy headphones that provide studio quality Amazing headphones are produced by world famous hip-hop artist 50 Cent. Created stylish and durable headphones. Manufacturer: SMS Audio. 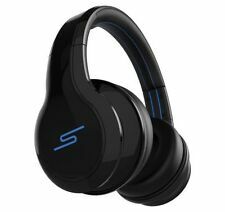 SYNC by 50 Cent Wireless Over-Ear Headphones. Model: SYNC by 50 Cent. Wireless Over-Ear Headphones. Color: White. Warranty void if product has been tampered with. 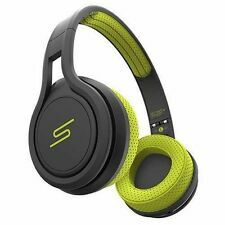 STREET by 50 Cent Wired Over-Ear Headphones by SMS Audio... NEW! ONLY THE FRESHEST! 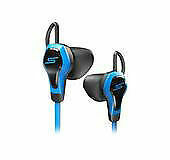 New DJ Pauly D Fresh Wired In-Ear Headphones Audio SMS-PD-EB-001. Crystal clear sound that is so clear its Fresh! 9mm driver so Fresh its ridiculous! Slide off the outer cover, and the actual box folds open to reveal its contents. A pocket on the inside of the lid holds a pouch with extras, while the headphones and 3.5 mm cable are tucked inside the included hard shell case. 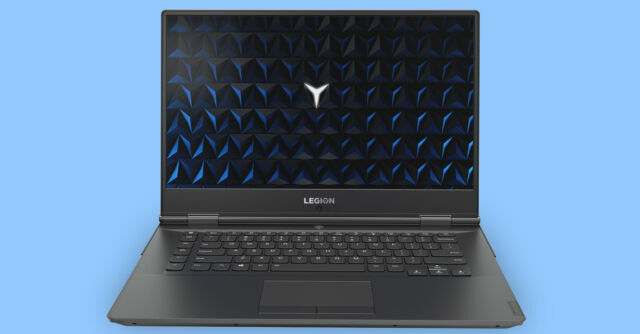 Tested in perfect working condition. Excellent physical condition. The item you will receive is exactly as pictured. If any accessory is not listed or shown in pictures, it will NOT be included. Star Wars SMS Audio Boba Fett First Edition Street by 50 Cent Wired Headphones. Star Wars SMS Audio Boba Fett First Edition Street by 50 Cent Wired Headphones.. Condition is Used. Shipped with USPS Priority Mail. Go wireless! Enjoy the freedom of no wires with the SYNC by 50 Over-ear wireless headphones featuring Kleer technology. Lossless audio for crystal clear wireless sound (up to 50' away) and the ability to sync up to 4 pairs of headphones to a single audio source make these headphones a must have for any audiophile or 50 Cent fan alike. Made in Imperial black to match its villain, the headset's black, reflective finish offsets the rubberized texture found on the ear cap emblem - Darth Vader's life support box. Includes Star Wars embossed carry case. Professional Studio Sound. Passive Noise Cancellation. Enhanced bass. 3 out of 5 stars - STREET by 50 Cent Wired Over-Ear Headphones by SMS Audio... NEW! 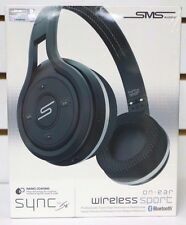 1 product rating1 product ratings - STREET by 50 Cent Wired Over-Ear Headphones by SMS Audio... NEW! The box has been opened. 16 removable decals. Slight deviations may occur. Therefore. By 50 Cent DJ Pauley D w/Soft Fit Headband. Three Sizes of Ear Gels (S, M, L). Optical Heart Rate Sensor. 3.5 mm audio jack. For Active Life Styles. Includes Protective Case. New In Box. SMS AUDIO BioSport. IN-EAR WIRED EARBUD. Adjustable and custom fit with included ear gel sizes. with Heart Monitor. Blocks noise from body's motion or surroundings with incredible vocal, bass and mid-tone sound quality. These headphones were created to match his music. Lightly used, in mint condition. Heart Rate Monitor. No Battery required. APP Compatible. 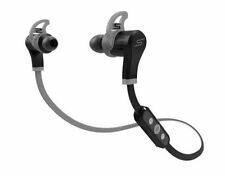 SMS Audio BioSport Earbuds (Black/Gray) Biometric Heart Rate Monitor Intel inside. Condition is New Never opened. If you want them cheaper then I can remove the carrying pouch that comes with it. Message me and let me know if you want them for a cheaper price, POUCH WOULD BE REMOVED. Shipped with USPS First Class Package (2 to 3 business days). 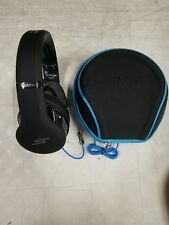 SMS Audio On-Ear Wired Headphone - Black By 50 NEW IN BOX!!! Professionally Tuned 40 MM drivers. Color :BLACK. NEW IN BOX. Bought these years ago, put it in my closet and forgot all about it. Never opened. Never used. IN THE BOX. Carry Case.